Holiday Package Deals | Saigon: $393 Nett per pax for 4D3N stay at 3-Star Queen Ann Hotel with Return Flights & Transfers! 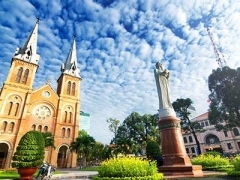 Saigon: $393 Nett per pax for 4D3N stay at 3-Star Queen Ann Hotel with Return Flights & Transfers! Visit HO CHI MINH CITY, VIETNAM for a marvelous cross-cultural experience in a city filled with quaint French colonial architecture! KIM DO HOTEL is a 4-star venue perfectly located right in the heart of Ho Chi Minh City that offers easy access to government offices, major business buildings, tourist attractions, shopping and entertainment areas. 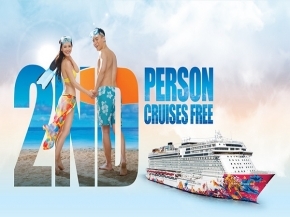 Package is based on Vietnam Airlines promotional airfare and is subject to availability during reservation. Top up fare may apply for bookings of other booking classes or airlines. Visit the largest city in Vietnam, Ho Chi Minh City, the country's bustling cultural and economic hub. Formerly known as Saigon, Ho Chi Minh City is filled with charming French colonial architecture and wide boulevards that will transport tourists back in time to a different era. Come see all that Ho Chi Minh City has to offer and experience the cultural wonders of this city for yourself! Queen Ann Hotel is located on Bui Thi Xuan street where it is considered to be one of the most convenient locations in town. Ten minutes to Ben Thanh market and department stores, fifteen minutes to visiting places and shopping centers, and twenty minutes away from Tan Son Nhat International Airport, Queen Ann Hotel is an ideal address for impeccable service with a familiarity and warmth that will make you feel completely at home. Perfectly located right in the heart of Ho Chi Minh City, Kim Do Hotel Saigon offers easy access to government offices, major business buildings, tourist attractions, shopping and entertainment areas.